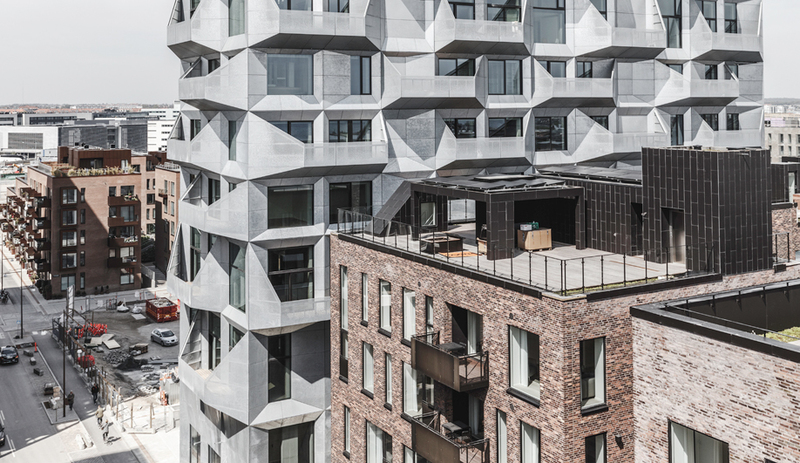 The Silo, industrial landmark in Copenhagen, is reborn as a residential tower in a mixed-use neighbourhood. Danish architect Dan Stubbergaard has a penchant for the unmitigated rationalism of old industrial buildings. So, when his firm, COBE, was planning the redevelopment of Copenhagen’s Nordhavn waterfront district into a mixed-use neighbourhood in the late 2000s, Stubbergaard campaigned to keep a former grain silo in the master plan. 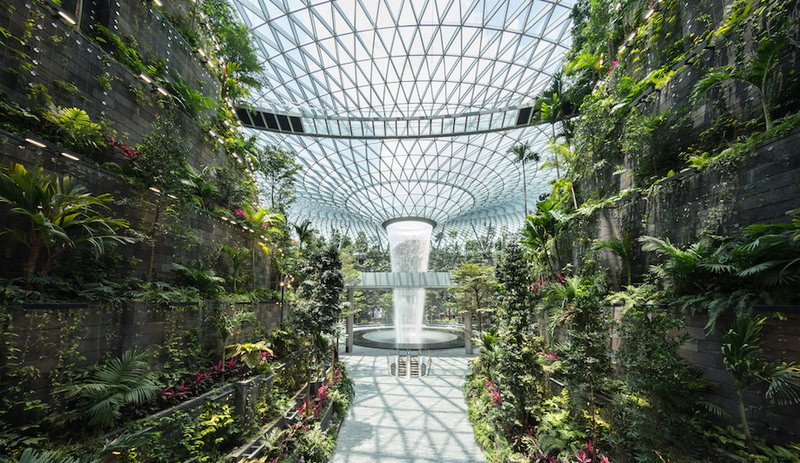 He also hoped to preserve the monumental character of the structure by assigning it a cultural function that required little revision to the “pure concrete canvas” of its facade. 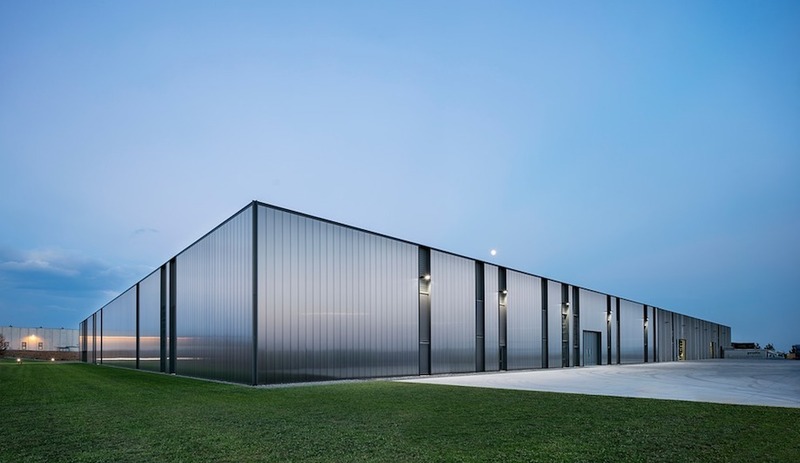 A prefab armour made from sheets of galvanized steel is durable against fierce winds and maintains the industrial aesthetic of the neighbourhood. 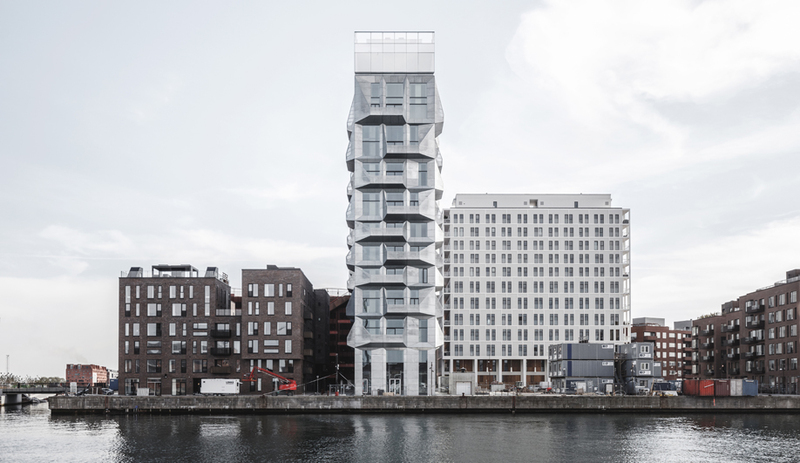 The owners of the 17-storey tower, Klaus Kastbjerg and NRE Denmark A/S, had a more toned-down vision in mind: To convert the giant container into 38 luxury apartments ranging from 106 to 402 square metres. To accomplish this, the company needed to transform the building’s arrow-slit-like fenestration into panoramic windows connecting to balconies. Charged with the adaptive reuse of the silo, COBE conceived an overcladding for the concrete that accommodated the new program without sacrificing visual uniformity. 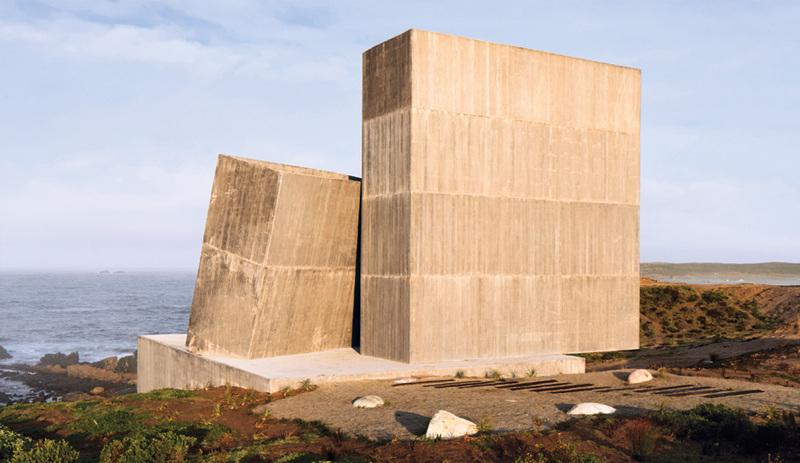 “We had always envisioned re-facing the silo,” Stubbergaard says, because regardless of the program chosen, the unsheathed building would have required insulation. Compromised portions of exterior-facing concrete also required protection from weather conditions, which include whipping winds unique to Nordhavn. Collaborating with the fabricators at Skandinaviska Glassystem, COBE devised a prefabricated exoskeleton that integrates those solutions, plus residential functionality, into single sheets of galvanized steel. 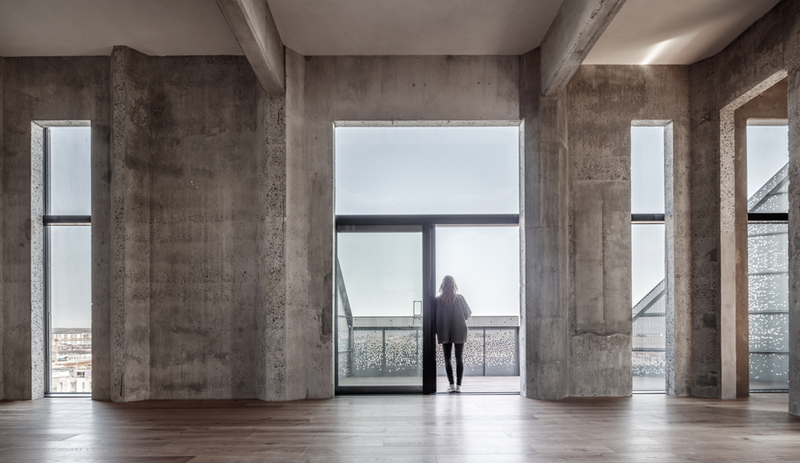 Cut-outs in the original concrete silo give residents sweeping views of the city and harbour. The carapace is divided into modules mounted to each floor of the silo. A typical module frames a triple-glazed window and seamlessly folds outward to form a balcony; the material then folds back toward the silo in triangular shapes that add crystalline texture to the new facade. 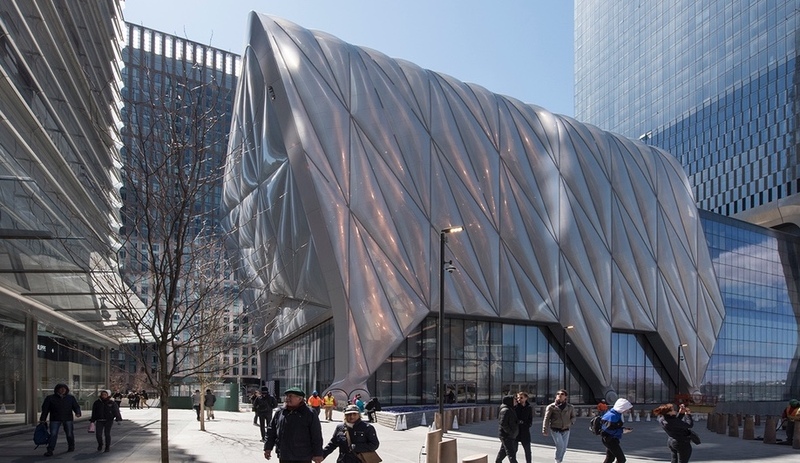 Each triangle is configured to protect balcony occupants from wind and the harshest sun angles, though laser-cut perforations in the galvanized steel prevent the faceted overcladding from seeming too shield-like. “You can still experience the light and water and the view, you have that visual connection,” Stubbergaard says. The little voids are also necessary for conveying ventilation exhaust from the residences. Meanwhile, insulated foam panels rest against the silo inside the modules’ depth dimension. The project won a 2018 AZ Award in the Multi-Unit Residential Architecture category.